Buy here: Bandcamp: https://videgeigerofficial.bandcamp.com/track/conflated iTunes/Apple Music: https://itunes.apple.com/us/album/conflated/id1264832961?i=1264832977 Spotify: https://open.spotify.com/track/5eLhyTC94qAyXjWKCZyDYF Name: Conflated Length: 3:26 Release: Single Artist: Vide Geiger Website: www.VideGeiger.com Facebook: www.facebook.com/VideGeiger Twitter: twitter.com/VideGeiger YouTube: www.youtube.com/VideGeiger Contact and booking: - Email: info@VideGeiger.com Join the list: www.videgeiger.com/subscribe Vide Geiger has written and performed music, styled by pop, world, blues and folk, for over 20 years. 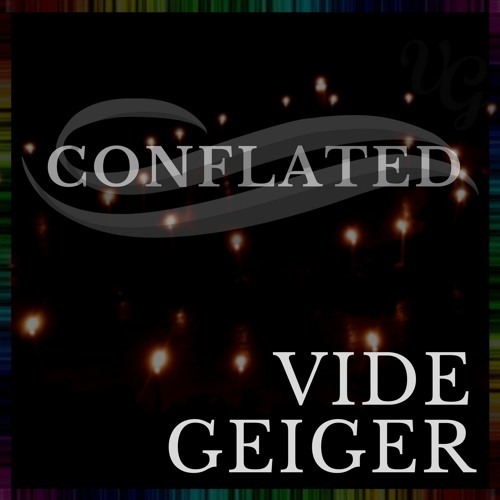 Influenced by Dave Matthews Band, Pink Floyd and Peter Gabriel, Vide Geiger takes the listener on a journey that’s both unique and inspiring. Vide has played festivals in both Canada and Sweden, recorded five singles and one EP, received an award for an outstanding performance and appeared on radio.